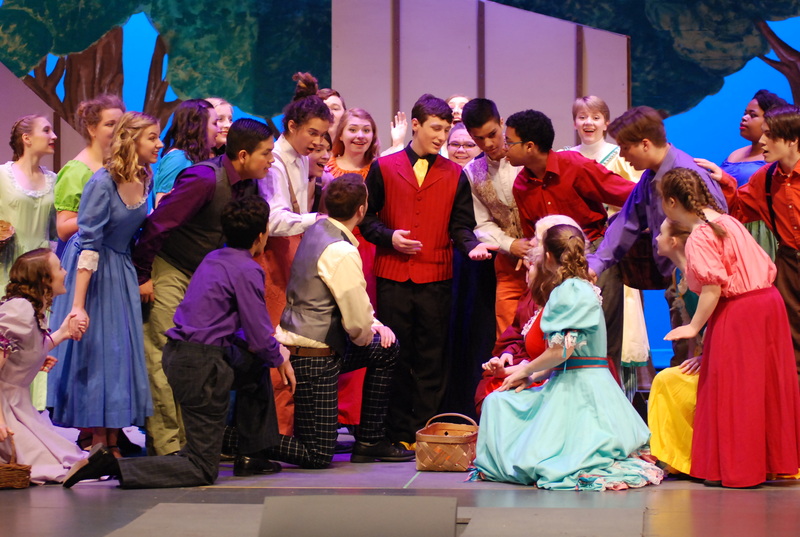 For many Carrboro High School students, including lead performers Caroline Smith and Daniel O’Grady, the March 19 matinee of Cinderella marked their last CHS production. 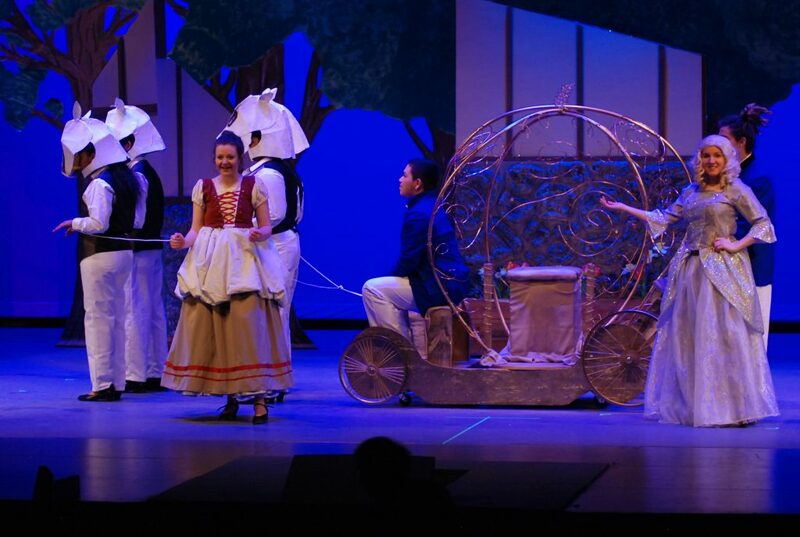 Though the show may have held a special significance for seniors, students of all grade levels contributed in unique ways, reflecting the theatre department’s talent and ingenuity. 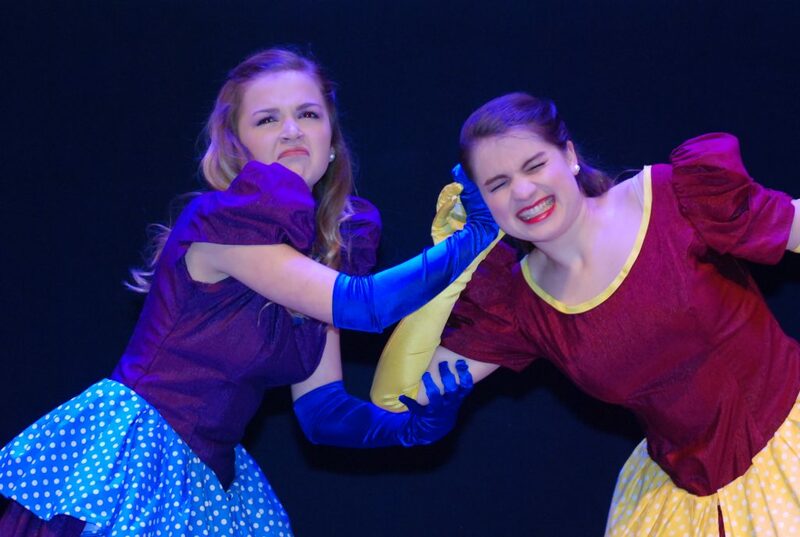 Adorned in extravagant costumes, junior Millie McGuire and seniors Margaret Hubacher and Avery Hutcheson stood out in their comical portrayal of Cinderella’s stepfamily. Act Two’s “Stepsisters’ Lament” featured Hubacher and Hutcheson who managed to combine singing, joking and even fighting into one number. The production’s mix of vocal talent and lighthearted comedy persisted throughout the play. Act One concluded with a charming duet between Cinderella, portrayed by Smith, and her godmother, portrayed by junior Ally Millar. The iconic scene, in which Cinderella gets ready for the ball, showcased both actress’ voices and the playful relationship between the two characters. The act’s final scene was impressive in an additional way: Cinderella’s dress transformed in front of the audience, changing from a servant’s dress into the character’s classic blue gown. Assistant Principal James Hopkins was one of the many audience members eager to speak about the unique costume. To him, much of its greatness stems from the originality of the student, senior Aria Margulies, who designed it. According to Hopkins, Cinderella was also special in that the orchestra, featuring Matthew Parunak as conductor, used the theatre pit. “It’s the first time we’ve used the pit at least since I’ve been here. It makes the orchestra sound even more incredible,” said the assistant principal. Upon curtain call, audience members initiated conversations with their friends about the performances and music. Presyce Baez, former CHS student, spoke highly of the production. “The set is amazing. The performance was great, and the movements were very synchronized,” said Baez. Gaby, News Editor, enjoys being emotionally cold and distant.